Today in the US, many adults are helping their young adult children through college; even more, however, are dealing with parents who are entering old age. Frequently, these adults are helping their children and their parents at the same time. Physical health issues and cognitive diseases such as dementia and Alzheimer’s Disease have Baby Boomers Googling nonmedical homecare help and social services. These Boomers are struggling with navigating an entirely new world of senior services. When there are several siblings, distance and varying opinions on how parents should be cared for, family tensions, financial problems and fighting can easily arise. There are some common sense best practices as well as some not-so-common recommendations when interacting with and caring for aging parents. When your parent begins to lose memory, learning to work with the disease rather than attempting to logically approach behaviors is often the best strategy for the parent. In other words, attempting to explain things and correct behaviors based on the person with dementia’s former demeanor and intellect can become more of a frustration for everyone. When dementia worsens or parents begin behaving badly, it can be an enormous source of stress for the children or the other parent. Caregiver burnout is a real thing. Finding support is key and educating yourself about best practices in caring for a parent with memory loss can lessen the difficulty of a worsening situation. Just as the flight attendant instructs passengers traveling with vulnerable companions such as children to take care of their own oxygen needs first before helping the companion, the same is true for caregivers. Taking time to pay attention to taking care of your immediate needs will help you, as the caregiver, retain strength and stamina. Whether you are caring for a parent full time, helping whenever possible or visiting a parent in a care facility, managing your relationship can cause a myriad of emotions to arise such as guilt, anger, a sense of obligation and resentment and jealousy of siblings living in other states. Assess the situation you are confronting on a regular basis. If the parent is consistently abusive when you visit or in your home, take some time to evaluate if you can manage the feelings you are experiencing or if another caregiver option may be a better choice. Often there are no other viable options. In that case, finding an elder care social worker to help intervene or offer tactics to cool off the situation could be a lifesaver. If the difficult behavior has had a sudden onset, there may be other causes other than dementia. Physical ailments such as urinary tract infections or improper blends of medications can cause symptoms such as paranoia, dementia-like symptoms or mood changes. Schedule an appointment for your parent with a primary care physician to get to the bottom of what is causing the behavior. Connect with others for ongoing support. Seek out a dementia support group, read books about aging and be sure to spend time with supportive friends and family members. Get help whenever you can. 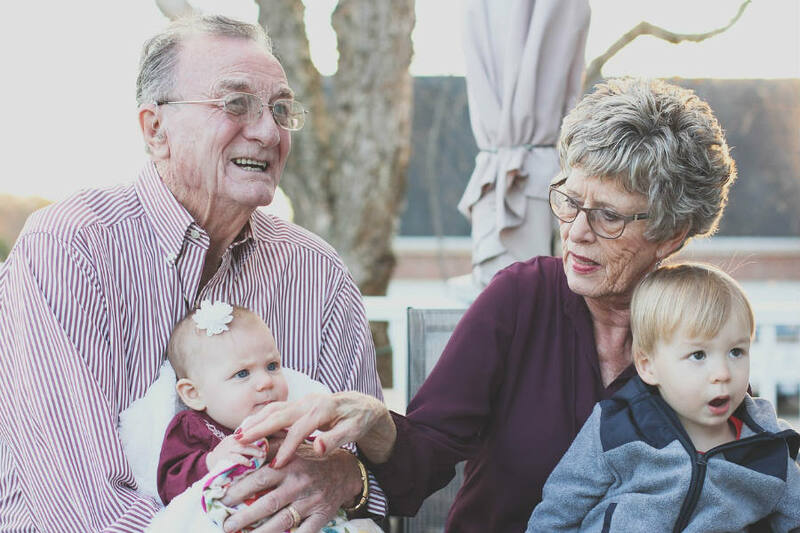 If you are spending too much time with the difficult aging parent, it may be time to bring in help occasionally to make sure you are getting respite. At first, this could evoke some difficult emotions from your parent, but in the long run, it is likely he or she will become accustomed to the change. Protect yourself from any harm. If your parent is violent or verbally abusive, get immediate help. If you are always arguing, focus on the caregiving tasks rather than your parent as an individual. Release yourself from any guilt and pay attention to the immediate needs rather than striving to go the extra mile to please an unpleasable person. If your parents are still living and are in good health, now is the time to start the conversation about the legal side of aging. Do they have a living trust in place? Is there a will? Who have they elected to serve as their legal decision makers if they should become unable to make decisions for themselves? If your parents begin to show signs of memory loss or dementia, it could become too late to arrange for these documents. The procedure to assign help in these scenarios after someone becomes incapacitated is costly, difficult and uncomfortable. To be sure your parents have the correct documents in place, make an appointment with me to assess your parents’ affairs. Taking care of these issues now can give you peace of mind.